Experience Diving in "Japan Quality"
Welcome to Prime Scuba Ishigaki. 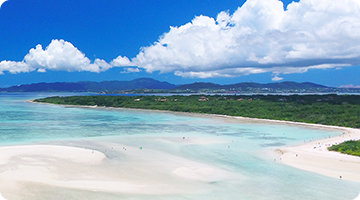 2000km southwest of Tokyo lies Ishigaki, Japan’s hidden paradise. Experience a quality diving cruise with Prime Scuba Ishigaki. 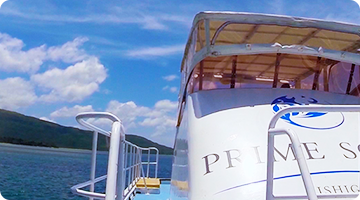 Prime Scuba Ishigaki offers a full-day dive cruise on our 60ft diving cruiser Blue Swan, covering a wide area of Ishigaki and the surrounding Yaeyama islands. If you do not have scuba diving certification, try our Discover Scuba Diving (DSD) program. Our experienced instructors will safely introduce you to the world of scuba diving. Prime Scuba Ishigaki’s certification courses are based on the curriculum of PADI, the world’s leading scuba diving training organization. All our porgrams include a full-day dive cruise with regular air tanks, weights, lunch, insurance, and transportation for guests staying in the city area. To make a reservation, please submit the reservation form. If you have any questions, please email or call us. 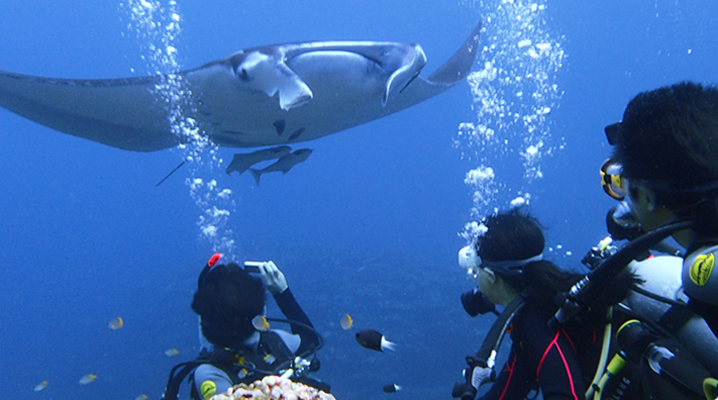 All you need to know about manta diving points around Ishigaki. Memory of a life time. 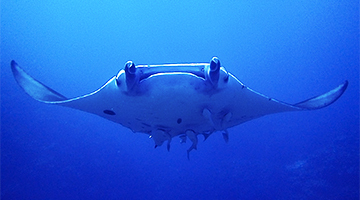 Prime Scuba Ishigaki has variety of full-day dive cruise programs for beginners to experts. 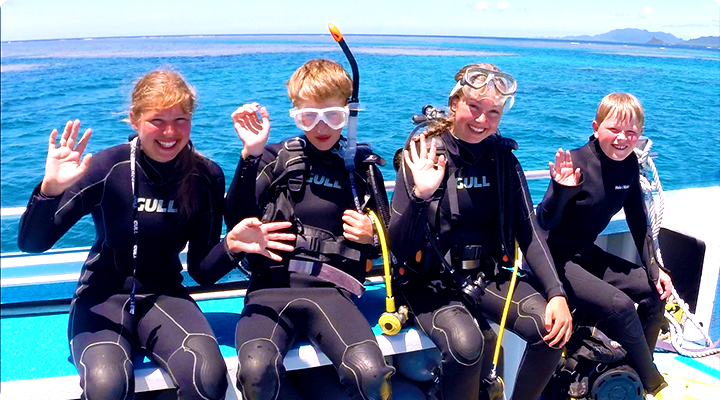 Enjoy your diving vacation with family, friends, or even alone for a relaxing trip. Become a diver, and spend extra days to enjoy diving! Check what is happening everyday at Prime Scuba Ishigaki. This is Ishigaki. And this is Prime Scuba Ishigaki. Enjoy Japan’s ultimate diving paradise with Prime Scuba Ishigaki. 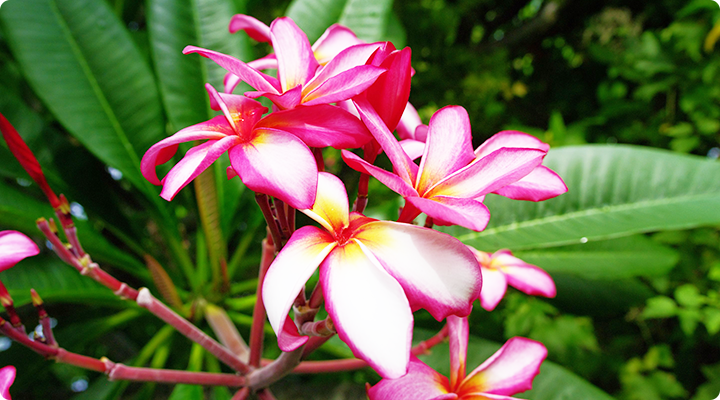 Ishigaki has been ranked the #1 diving destination in Japan for almost 20 years. Prime Scuba Ishigaki has been the #1 scuba diving tour in Ishigaki since 2013. 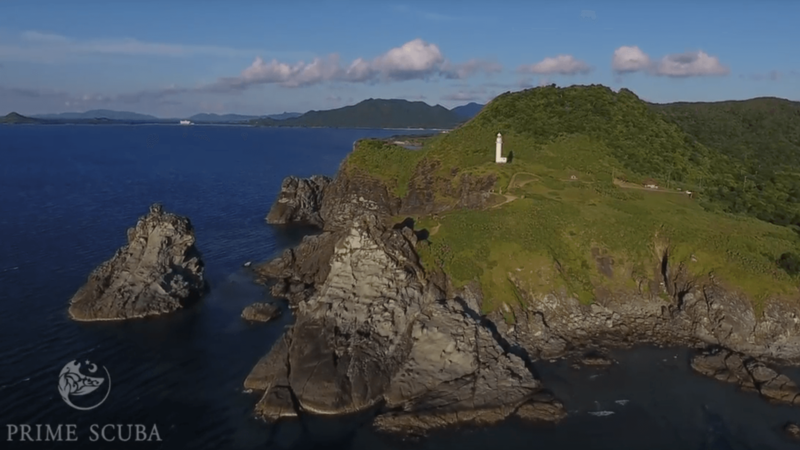 Located 2000km southwest from Tokyo and surrounded by breathtaking nature, Ishigaki has been ranked the #1 diving destination in Japan for years. 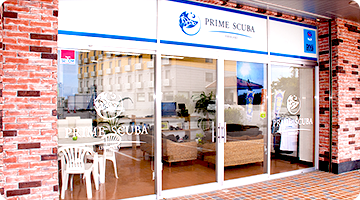 Founded in 2013, Prime Scuba Ishigaki has been serving guests from all over the world. Explore Ishigaki and Yaeyama diving with Prime Scuba Ishigaki! 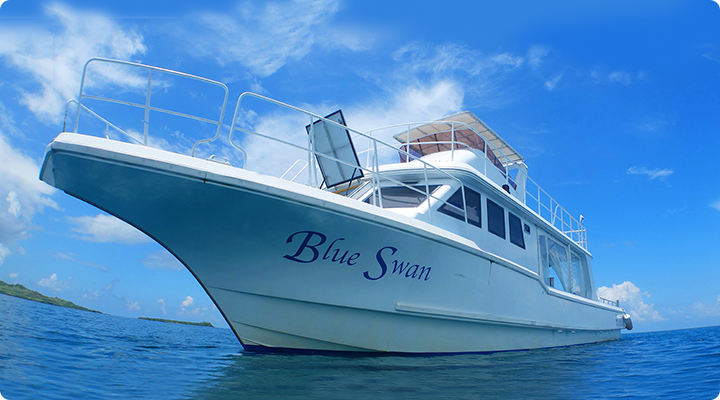 Blue Swan is a 60ft long, 13ft wide, non smoking diving cruiser with max capacity of 36 passengers. Enjoy luxury dive cruise with our clean, spacious and comfortable boat.